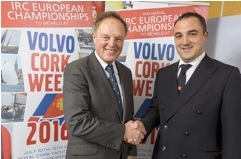 The first ever IRC European Championship will take place during Volvo Cork Week, 10-15th July 2016. The new event in the RORC Calender will be hosted by the Royal Cork Yacht Club, in the sailing grounds of Cork Harbour and the Atlantic Approaches. Volvo Cork Week is renowned for a variety of sailing conditions to test the competitors, and as an open event, entries for the championship are expected from all over the world. “Royal Cork Yacht Club is honoured to be chosen to host the prestigious Royal Ocean Racing Club’s inaugural IRC European Championships, during Volvo Cork Week 2016. This is a great honour for Irish sailing, and the fact that Ireland has been selected as the host nation for the first ever IRC European Championship, will guarantee support from IRC boats from all over Ireland as well as overseas.” commented Kieran O Connell, Chairman of Volvo Cork Week. “It is also a great reflection on the Race Management here at Volvo Cork Week, and shows the confidence that RORC have in The Royal Cork Yacht Club’s ability to manage an event of this scale. 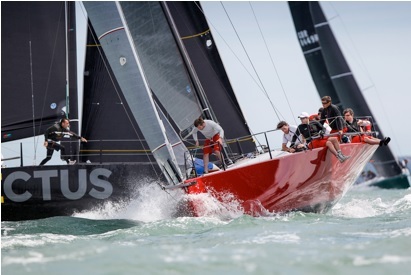 On the racing front, Volvo Cork Week 2016 will not disappoint, with plans already well underway to host a championship that will both meet and surpass the requirements of this unique world class event both on and off the water. We welcome all in advance”. 29th of Nov. O’Leary Insurance Winter League cancelled.